Exclusive: Since the Contra-cocaine scandal surfaced in 1985, major U.S. news outlets have disparaged it, most notably when the big newspapers destroyed Gary Webb for reviving it in 1996. But a New York Times review of a movie on Webb finally admits the reality, writes Robert Parry. Nearly three decades since the stories of Nicaraguan Contra-cocaine trafficking first appeared in 1985, the New York Times has finally, forthrightly admitted the allegations were true, although this belated acknowledgement comes in a movie review buried deep inside Sunday’s paper. The review addresses a new film, “Kill the Messenger,” that revives the Contra-cocaine charges in the context of telling the tragic tale of journalist Gary Webb who himself revived the allegations in 1996 only to have the New York Times and other major newspapers wage a vendetta against him that destroyed his career and ultimately drove him to suicide. 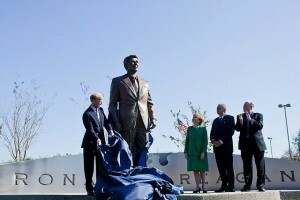 Ronald Reagan’s statue at Washington’s National Airport, which was renamed in his honor after his scandals were excused and suppressed. Although the Times’ review still quibbles with aspects of Webb’s “Dark Alliance” series in the San Jose Mercury-News, the Times appears to have finally thrown in the towel when it comes to the broader question of whether Webb was telling important truths. The Times’ resistance to accepting the reality of this major national security scandal under President Ronald Reagan even predated its tag-team destruction of Webb in the mid-1990s, when he was alternately pummeled by the Times, the Washington Post and the Los Angeles Times. The same Big Three newspapers also either missed or dismissed the Contra-cocaine scandal when Brian Barger and I first disclosed it in 1985 for the Associated Press — and even when an investigation led by Sen. John Kerry provided more proof in 1989. Indeed, the New York Times took a leading role in putting down the story in the mid-1980s just as it did in the mid-1990s. 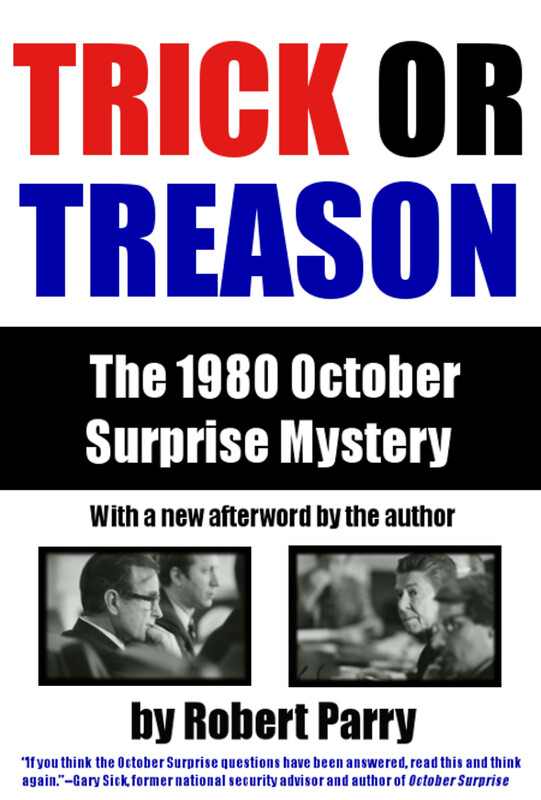 That only began to change in 1998 when CIA Inspector General Frederick Hitz conducted the spy agency’s first comprehensive internal inquiry into the allegations and found substantial evidence to support suspicions of Contra-cocaine smuggling and the CIA’s complicity in the scandal. Though the Times gave short-shrift to the CIA’s institutional confession in 1998, it did at least make a cursory acknowledgement of the historic admissions. The Times’ co-collaborators in the mugging of Gary Webb did even less. After waiting several weeks, the Washington Post produced an inside-the-paper story that missed the point. The Los Angeles Times, which had assigned 17 journalists to the task of destroying Webb’s reputation, ignored the CIA’s final report altogether. So, it is perhaps nice that the Times stated quite frankly that the long-denied scandal “really happened” even though this admission is tucked into a movie review placed on page AR-14 of the New York edition. And the Times’ reviewer still can’t quite face up to the fact that his newspaper was part of a gang assault on an honest journalist who actually got the story right. Thus, the review is peppered with old claims that Webb hyped his material when, in fact, he understated the seriousness of the scandal, as did Barger and I in the 1980s. The extent of Contra cocaine trafficking and the CIA’s awareness and protection of the criminal behavior were much greater than any of us knew. The Times’ review sums up the Webb story (and the movie plot) this way: “‘Kill the Messenger,’ a movie starring Jeremy Renner due Oct. 10, examines how much of the story [Webb] told was true and what happened after he wrote it. ‘Kill the Messenger’ decidedly remains in Mr. Webb’s corner, perhaps because most of the rest of the world was against him while he was alive. “Rival newspapers blew holes in his story, government officials derided him as a nut case and his own newspaper, after initially basking in the scoop, threw him under a bus. Mr. Webb was open to attack in part because of the lurid presentation of the story and his willingness to draw causality based on very thin sourcing and evidence. He wrote past what he knew, but the movie suggests that he told a truth others were unwilling to. Sometimes, when David takes on Goliath, David is the one who ends up getting defeated. “Big news organization like The Los Angeles Times, The New York Times and The Washington Post tore the arms and legs off his work. Despite suggestions that their zeal was driven by professional jealousy, some of the journalists who re-reported the story said they had little choice, given the deep flaws. But Golden continues to be wrong himself. While it may be true that no journalistic story is perfect and that no reporter knows everything about his subject, Webb was if anything too constrained in his chief conclusions, particularly the CIA’s role in shielding the Contra drug traffickers. The reality was much worse, with CIA officials intervening in criminal cases, such as the so-called Frogman Case in San Francisco, that threatened to expose the Contra-related trafficking. The CIA Inspector General’s report also admitted that the CIA withheld evidence of Contra drug trafficking from federal investigators, Congress and even the CIA’s own analytical division. The I.G. report was clear, too, on the CIA’s motivation. In 2000, the Republican-controlled House Intelligence Committee grudgingly acknowledged that the stories about Reagan’s CIA protecting Contra drug traffickers were true. The committee released a report citing classified testimony from CIA Inspector General Britt Snider (Hitz’s successor) admitting that the spy agency had turned a blind eye to evidence of Contra-drug smuggling and generally treated drug smuggling through Central America as a low priority. Yet, like the Hitz report in 1998, the admissions by Snider and the House committee drew virtually no media attention in 2000, except for a few articles on the Internet, including one at Consortiumnews.com. The Times’ review also gives space to Webb’s San Jose Mercury-News editor Jerry Ceppos, who caved after the Big Media attacks, shut down Webb’s ongoing investigation and rushed to apologize for supposed flaws in the series. Despite acknowledging the truth of the Contra-cocaine scandal, the review was short on interviews with knowledgeable people willing to speak up strongly for Webb. I was one of Webb’s few journalistic colleagues who defended his work when he was under assault in 1996-97 and every year on the anniversary of Webb’s death have published articles about the shameful behavior of the mainstream media and Ceppos in destroying Webb’s life. I was e-mailed by an assistant to the Times’ reviewer who asked me to call to be interviewed about Webb. However, when I called back, the assistant said she was busy and would have to talk to me later. I gave her my cell phone number but never heard back from her. The review also notes that when the Kerry report was issued, “major news outlets gave scant attention to the report” and that: “Mr. Webb was not the first journalist to come across what seemed more like an airport thriller novel. Way back in December 1985, The Associated Press reported that three contra groups had ‘engaged in cocaine trafficking, in part to help finance their war against Nicaragua.’ In 1986, The San Francisco Examiner ran a large exposÃ© covering similar terrain. Despite recognizing the seriousness of the Contra-cocaine crimes that Webb helped expose, the review returns to various old saws about Webb’s alleged exaggerations. “The headline, graphic and summary language of ‘Dark Alliance’ was lurid and overheated, showing a photo of a crack-pipe smoker embedded in the seal of the C.I.A,” the review said. However, in retrospect, the graphic seems apt. The CIA was knowingly protecting a proxy force that was smuggling cocaine to criminal networks that were producing crack. Dr. Frans B. Roos, Ph.D.
After reading this far, that means all of it in-depth; it looks like there is nothing in the movie showing Webb committing suicide by shooting himself twice (2 X) in the head (LAPD). You know not many people worldwide commit suicide to kill with the first bullet and then firing a second bullet to verify the first bullet did its job. USA the only country on Planet Earth were nothing is impossible. The movie obviously is a whitewash farce and not worth wasting time and money on to see it. Dr. Paul Craig Roberts, Ph.D. Former Assistant Secretary of the US Treasury. Held numerous university Prof. Appointments. Frequent contributor to Global Research. Keep up the good work Parry youâ€™re a beacon in the pitch darkness. Great Paul Craig Roberts link. Currently, he has a couple of articles on a new book out by a very good German magazine guy who explains that the global media is paid by the CIA to present the news their way. So all of the complaints about the MSM – while true – are really a problem of the CIA directing them from above. IMO: journalists, newspapers and media are all in the same boat as Gary Webb – with the 2 bullets in the head suicide. IMO: that’s what makes Gary Webb’s story so important to the rest of us. The CIA ownership of the press was the reason why Gary Webb was hounded by the media over his story of crack cocaine going directly from S.America to Oakland, CA neighborhoods. This was not just an individual attack by a rival newspaper such as the LA Times. This was an attack on him by multiple newspapers and journalists that was fully coordinated through the CIA project Mockingbird. So the real Gary Webb story is really about the global manipulation of the press by govt sources. As one wag said: if you can control the message, there’s no reason to muzzle the media. For details on the Mockingbird project – see Glenn Greenwald’s The Intercept. They are the right place to find out what the Gary Webb story really is. And it’s not the ‘white-washed’ version. IMO: the end of the Gary Webb story is the penalty journalists, publishers and the media pay for printing the wrong story. Sorry I’m submitting this so late…but I just got to this one!!! This was done as part of the CIA’s Mockingbird project to buy the ‘right’ reporter-journa list-newspaper coverage…and bury the negative coverage. According to a new book from a very respected German editor…the Mockingbird game is still going on and the CIA is now controlling much of the media coverage world-wide. Yes Ronald Regan and the U.S. was responsible for butchering a lot of people in Central America like the Sandanistas etc. but all as usual in a “good cause”. Gary Webb brings to mind Michael Hastings ? I came across the copy of this piece at GlobalResearch.ca and it’s going to leave an uneasy conscience, if I don’t read a piece by Robert Parry or others writing for Consortium News when coming across a CN article. That’s when you say, “Whoah. Don’t go further. First, read this!”. I can’t donate, not having funds to be able to do so, but will say Thank You for the good work you’ve been providing for … many years; decades. While we possibly don’t fully agree about 9/11, you and other CN writers nonetheless are among the informative resources to be recommended to others and I’ll try to remember this when next suggesting websites to someone. There’re several to be recommended and they don’t all come to mind “right off of the top of my head”. CN is one that was forgotten and this should be corrected in the future. Memory isn’t always as sharp as we could like it to be. So when do the lawsuits and the arrest for conspiracy, harrassment and deadly neglegence begin? After all, we are a Nation of Laws…, aren’t we? The difference of course is that Hitler, Mussolini, Franco and Tojo were open, podium-thumping advocates of conquest and extermination dressed in comic opera military costumes; today it’s all sanitized, suit-and-tie, politically correct Nobel Peace Prize humanitarian intervention, *democracy* ever on the lips of every eight-year Fuehrer, till the very word makes you want to vomit. The New York Times will likely release the Times review on Oct 9th. The Sunday paper is not the place movie reviews get first published by the New York Times. Carr is not a Times movie reviewer, and this isn’t a review. Carr is a smart media reporter for the Times. And he is also a former abuser of cocaine. It’s not surprising that Carr can tell the story straight. This story is only one of many involving the CIA in the world wide drug traffic. THANK YOU Robert Parry, but you failed to say much about the CIA money making part. Mr Parry, I am writing this with the hopes you may read what I have here. I just want to raise my hand and give you an honorable salute. You have proven what is meant by the word ‘integrity’ to the fullest. In today’s world you are an oasis in a vast desert of many vain and dishonest reporters, for sure. To many have sold their soul for profit, and fame. You, on the other hand have continued your career guided by principle. This is not an easy task. You should be proud of yourself. Why hell, I don’t even know you personally, and yet I am proud of you. Recently I commented about the very subject matter you are referencing inside this article. I wondered then how the MSM would treat this movie, “Kill the Messenger”. I especially am curious to what Howard Kurtz may have to say, upon his review of the Gary Webb story on film. Don’t you wish you could be a fly on the wall? It took time for me to finally find this site, ‘Consortiumnews.com’, and I am glad I did. You see, the reporting on this site holds up over time. I cannot say this about our country’s MSM press. This site is among a few others who I feel report the news in a proper and truthful way, and for this I am very thankful. 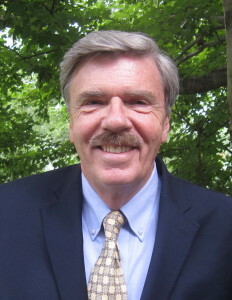 With that I will close out my comment by once again saying, good on you Robert Parry…you are appreciated! I could not agree with you more Joe, even down to the time it took for me to find this site, ~3 months ago. Thank you Mr. Parry. Although I am not the best to help disseminate information, due to the refusal to use most social media platforms, I am no shrinking violet in the presence of friends/strangers engaged in political/historical discussions. Again, thank you for making the world a more informed place. Eventually truth will out. Bravo for this effort. I come from a different generation and background, but when I read your comment I felt as if I had written it myself… I can’ agree more with everything you say about importance and journalistic integrity of Mr. Parry’s work. I also found Consortiumnews only recently by accident, following the development in Ukraine… Since then Consortiumnews has become the primary source of unbiased information, analysis and education for me for which I’m very grateful. 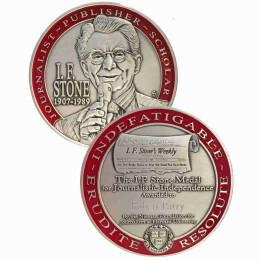 I want to thank all of the great writers here – you work is very important and greatly appreciated. Yuliy, it is nice when we find people who appreciate what is called the truth. We may not always see things the same way, but it surely helps when we can base our thoughts off of the truth. Good to hear from you. Keep Posting.